An herb garden is a wonderful thing. Having a potted herb garden that you can harvest year round is a chef’s dream come true! Let your imagination run wild when considering what type of container to grow herbs in. Just about anything will work, but keep in mind, most varieties prefer fast draining soil. As long as the container you select has adequate holes and drains well, you should be in good shape. Some of the most popular container choices are made out of terra-cotta, wood and cement (see Plant Up A Container). 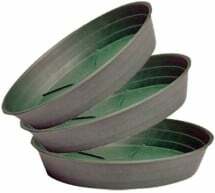 Although herb gardeners often prefer terra-cotta because of it’s natural wicking capability. If you’re looking for style as well as practicality, try using a Mexican strawberry pot. You can grow a bunch of different herbs in it and when you need some flavor for your food … it’s all right there! Another thing to remember when selecting a container is that size does matter. The pot must fit the plant – or plants – that will be growing in it. If the container is too small your herbs may quickly become root bound. On the other hand, if the container is too large your plants may spend all of their energy on root production and not grow the way they should. With the right ​gardening supplies growing exotic and flavorful herbs is easy! 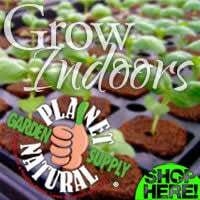 At Planet Natural we have everything you need: pots, soils and seeds to get started, plus grow lights to bring the green-giving magic of the sun indoors. Now, let’s grow! The essential oils that give herbs their flavor and aroma are produced in the largest quantity when they receive plenty of light. 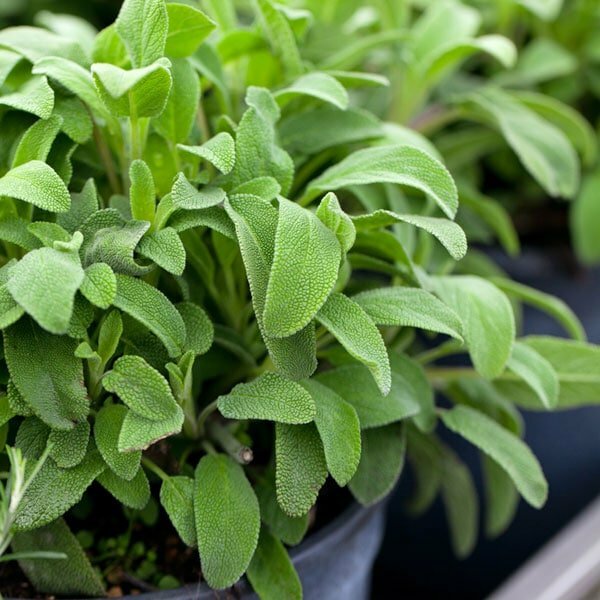 For best results, most herb varieties require at least 6 hours of sun per day. If growing indoors, many plants will do fine on a south facing windowsill. 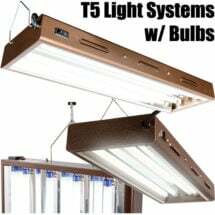 If the amount of light is not enough, you can supplement light with fluorescent lamps or a grow light, especially during the winter months. When selecting plants for container gardening, consider the amount of light that is available for a particular spot and read the lighting requirements found on individual seed packets and plant labels. If planting several containers in one area, or several plants in a pot, do not mix plants with different lighting requirements. Why purchase potting soil when you can make your own. 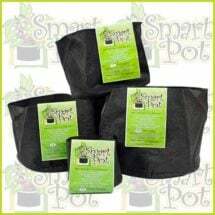 A good potting mix recipe contains sterile garden soil and compost, peat moss (or coconut coir) and other additives as needed. While most herbs require little fertilizer, you do need to pay closer attention to container grown plants. Because the amount of soil around the plant is limited to the size of the container, it dries out faster and requires more nutrients than the soil in your garden. For herbs, usually all that is needed is a good all-natural organic fertilizer which can be mixed in with the potting mix prior to planting. If your plants loose their color or look a little peeked during the growing season, apply a good liquid fish and kelp fertilizer at half the recommended strength every few weeks. Apply fertilizers sparingly to herbs. Heavy applications will produce large plants, but the essential oils that produce their flavor and aroma will be greatly reduced. Note: Plants can absorb nutrients through both their roots and through leaf pores. Foliar feeding (applying fertilizer solutions through leaf pores) can supply nutrients to your plants immediately. 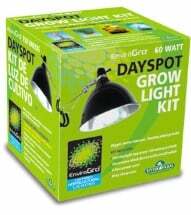 It is especially effective for giving fast growing plants, like vegetables, an extra boost during the growing season. If temperatures are warm, a container may require water once or twice a day. Watch closely and water when the potting mix appears dry and pale, or has shrunk away from the sides of the container. Also, poke your finger in the soil. If it feels moist, it’s all right. If it feels dry, start watering. Keep in mind, that many herbs prefer dry conditions. In most cases, they will not have to be kept as moist, as say, your favorite tomato plant. Unfortunately, this doesn’t apply to all herbs – so make sure you check the watering requirements for individual plants. 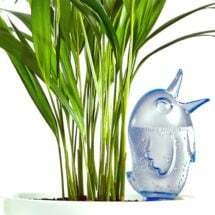 Tip: If your plants require more water than you can give them or you’re going on vacation, consider using an Automatic Plant Waterer. Simply fill with water and rest assured that your plant will be perfectly watered for up to four days. Available in TWO sizes, for large and small container plants.